Symmetry and I attended our first Cross Country clinic as well as show jumping at Fernances Creek Farm on the 17th and 18th of September. It was a super clinic, with great improvement from beginning to end. The instructor for Cross Country, Charlie Brister and Show Jumping, Ben Netterfield, were fantastic instructors being very direct and having awesome feedback. I wore the ever so comfy, super sticky bright blue breeches, which helped me stay intact with Sym’s huge jump. I also wore the Navy Blue Elastic Stretch Belt. All up it was a fun filled weekend meeting great people and having super rides. A beautiful place to visit will definitely be returning. 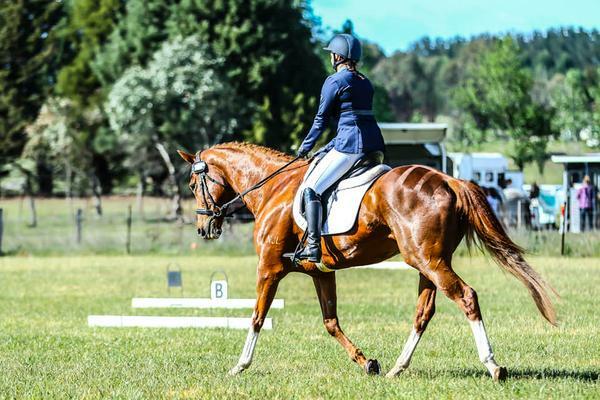 This entry was posted in Team Riders and tagged Breeches, Cross Country, Elastic Belt, Eventing, Show Jumping, Super Stick Breeches, Wilson Equestrian.